Van Egmond Tree Bark Nuggets, also referred to as French Tree Bark, is a first grade tree bark with a hard structure that will last for several years. Tree Bark Nuggets are light brown in colour at first application, becoming darker over time. The tree bark is available in various fractions. Tree Bark Nuggets 16-25mm is mainly used for walking trails, as a decorative material in gardens, as a top layer material in playgrounds and as a base layer under children’s playground equipment. 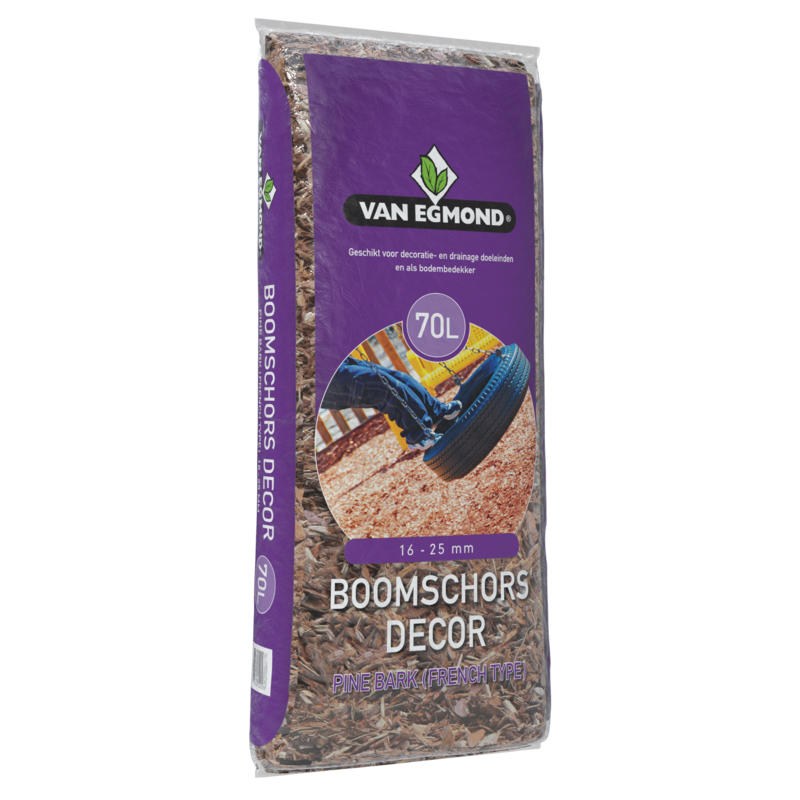 Van Egmond Tree Bark Nuggets 16-25mm is available in bags of 70 litres. Suitable for decorative purposes, as drainage material and as soil cover. Order bark nuggets 16-25mm directly through our order form!